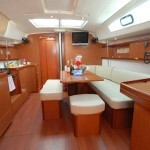 Length Overall : 43' 1"
Sail Area : 973 sq. 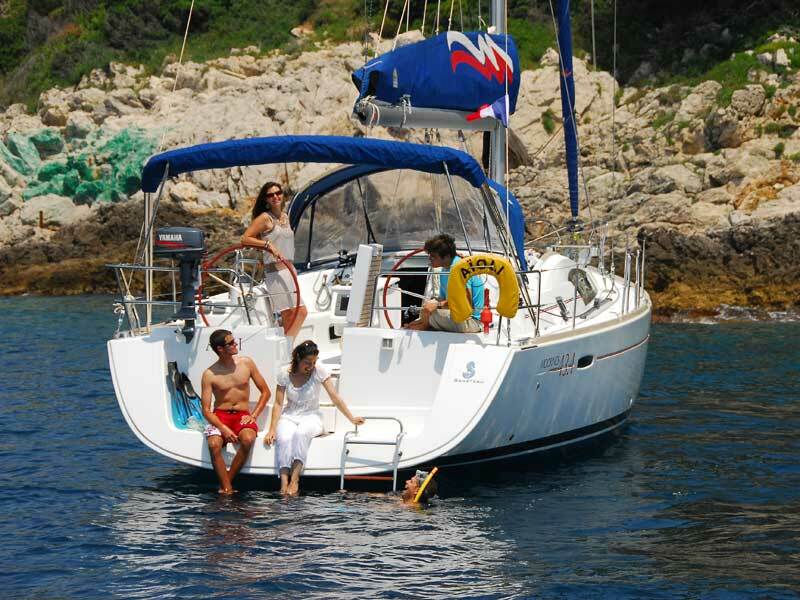 ft.
A Moorings 43.3 was designed with sailing performance firmly in mind without sacrificing comfort. 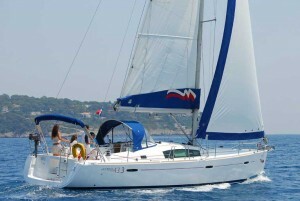 A full-batten mainsail and roller-furling genoa easily drive the sleek hull in all conditions. 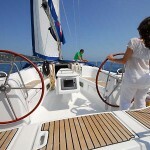 All sail control lines are led aft to the cockpit for safety and convenience, and the mainsail has a self-stacking system and lazy jacks. The dual helms provide excellent visibility. 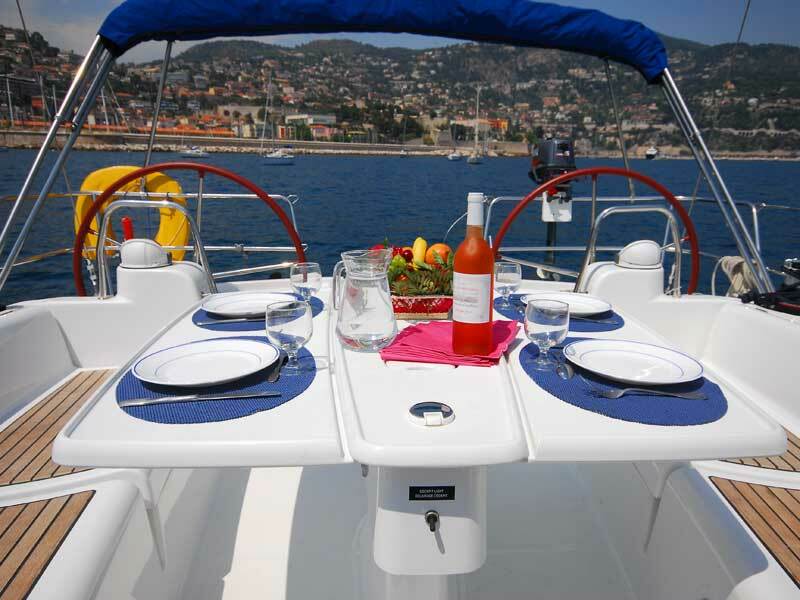 The cockpit is also equipped with a dodger and bimini, a drop leaf table with built-in storage space, speakers for the stereo/CD player with an MP3 connection below, and a full electronics package, including a color chartplotter and autopilot. 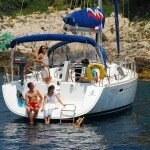 The yacht also has an electric windlass, and aft is a generous swim platform. 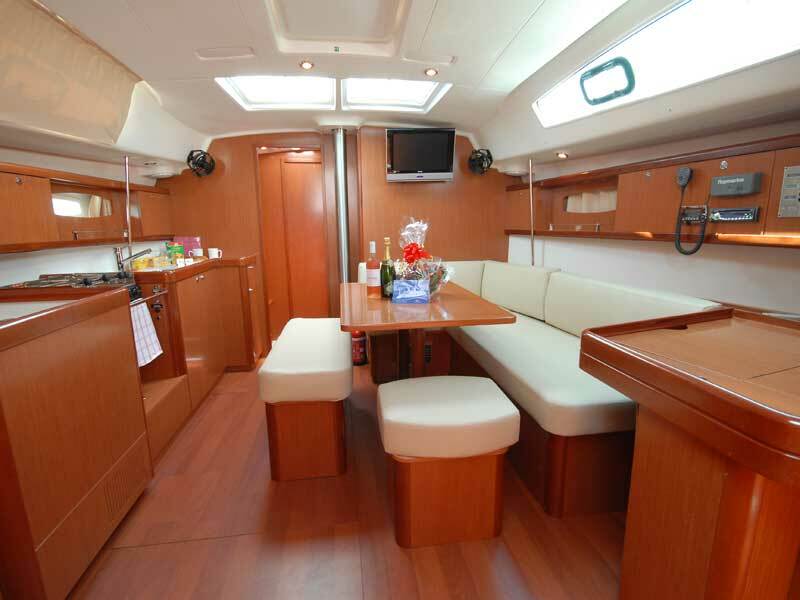 Below is a luxurious U-shaped saloon with an entertainment center featuring a stereo/CD player and a TV/DVD player. 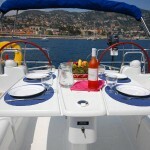 The dining table accommodates eight and drops to convert to a double bed. There’s also a chart table. 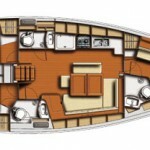 The galley is sensibly laid out along the port side and has all features. 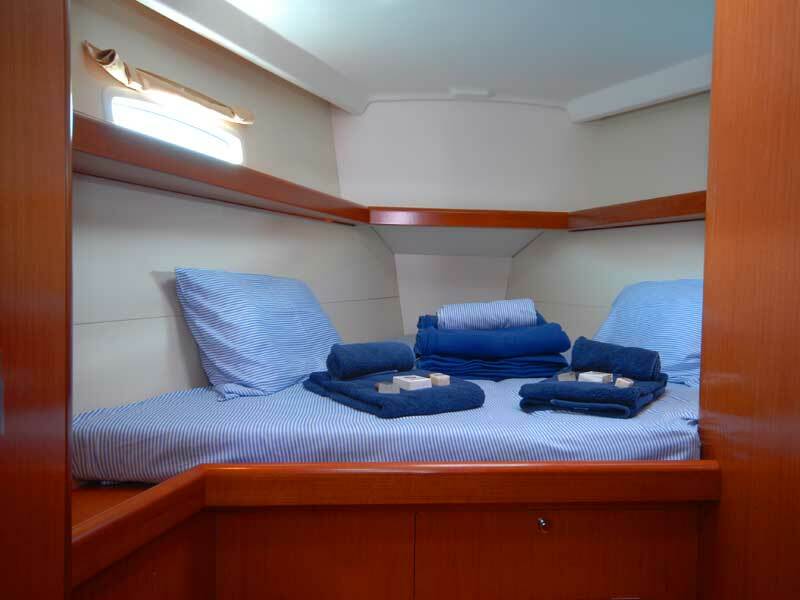 Forward is a large double cabin with en suite head with shower, and aft there are two double cabins and two heads with showers. 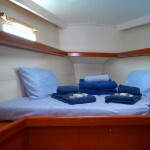 All cabins have plenty of storage and hanging lockers, and opening ports and hatches as well as fans. 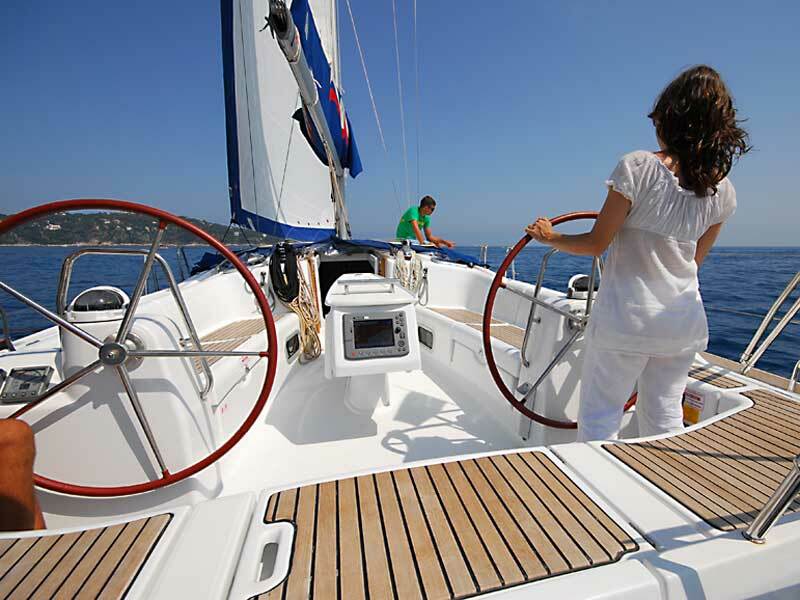 Shore power air-conditioning provides comfort in the tropics.